I am apprehensive about putting my opinions online, sounding pretentious or like I'm writing my teenage diary, so it's been down to articles such as this that have made me take the plunge and not obsess too much about the wording. I have a few ideas for some initial posts; I've been working a lot with OpenID Connect and Thinktecture's Identity Server, with the latter having so little documentation for the size and popularity of the project that it would be wrong not to share my own experiences instead of just moaning about no one doing the same. I also hope to start a part-time PhD at some point in Q3 or Q4 of this year, so hopefully this will serve as a launching platform for some of that content. I promise I won't write these on the toilet. 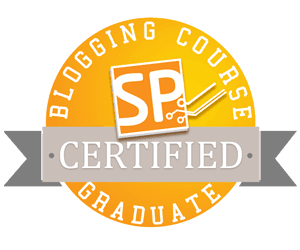 Recently I completed the Simple Programmer blogging course by John Sonmez. I would recommend this course to anyone looking to start a blog and develop their career, as John has managed to articulate exactly why you should blog and the benefits it can bring to your career. Another very good post about your online identity, and how this can affect your career, is Troy Hunt's very first blog post and his advice on how to not be a "ghost who codes". For up to date information about me, check out my About page.